The San Diego County Board of Supervisors Tuesday took the first steps toward offering residents more energy choices after hearing from numerous advocates. Community choice energy programs, known as CCEs, allow residents and businesses a choice of where to buy electricity. 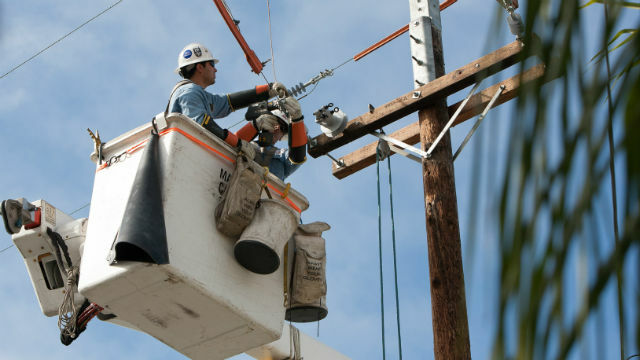 According to the county, there are 19 CCEs operating in California, serving more than 8 million residents. By a unanimous vote, the board directed Chief Administrative Officer Helen Robbins-Meyer to develop a Community Choice energy program, and report back to the board on progress every two months. The supervisors also authorized Robbins-Meyer to work with the city of San Diego and other regional cities on developing a CCE joint powers authority. The board’s action comes one day after the San Diego City Council voted in favor of establishing a similar program. The supervisors will formally vote on establishing a Community Choice Energy program in October after they’ve reviewed options, progress reports, and pros and cons, and hear from experts. Board Chairwoman Dianne Jacob said eight cities in the county are moving towards energy choice, which in turn opens the door to competition. Studies show local consumers now pay some of the nation’s highest utility rates, she added. Before voting, board members Jim Desmond and Kristin Gaspar raised numerous concerns, including whether a CCE would truly be cost-effective. Both said they want to see a complete business plan before making any final decision. Gaspar said she has more questions than answers on community choice. She said she understands the desire for choice and cleaner energy but based on her studies, CCEs don’t always show the best results when it comes to saving residents money. She added that there are other logistical issues, including whether consumers are responsible for utility improvements, even if they opt out of a community choice program. He added that the county doesn’t have an energy expert on staff, and suggested that a private company might better manage the program. Supervisor Greg Cox said a feasibility study will be necessary before the board votes in October. Cox added that he’s not excited about the county getting into the energy business, saying it did a “lousy job” of previously managing the solid waste system. Jacob suggested inviting an expert from Los Angeles County to provide input. “We can learn from what others have done,” she said. A spokesman from San Diego Gas & Electric, which provides much of the electricity of county residents, said the company stands behind customer choice and renewables, along with the county working with municipalities. “You have a partner in us and we are pleased to join you, should you go forward,” said Joe Gabaldon, SDG&E’s public affairs manager. A representative from San Diego Mayor Kevin Faulconer’s office and several environmental groups spoke in favor of a CCE. Along with the cost savings, supporters told the board that CCEs mean cleaner energy options, reduced air pollution, mitigating the effects of climate change and job opportunities. Van Collinsworth of Preserve Wild Santee told the supervisors that the county not taking a lead role in green energy solutions earlier was a disservice to residents. “We need you to be a leader in climate action — there is no more important issue,” Collinsworth said. Posted in Politics | Tagged Board of Supervisors, Dianne Jacob, Greg Cox, Helen Robbins-Meyer, Jim Desmond, Kristin Gaspar, San Diego County, San Diego Gas & Electric Co.